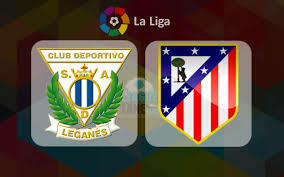 Leganes welcomes Atletico Madrid in a match from the 11th round of the Spanish La Liga. Let’s take a look. Leganes are currently positioned in the relegation zone of La Liga with just 8 points won so far. The team have a record of 2 wins, 2 draws and 6 losses. For Mauricio Pellegrino and his team this season won’t be easy, but they will do the best they can do to survive. In their last match Leganes suffered a 0-2 loss during the visit to Levante. Roger Marti and Ruben Rochina scored for the team from Valencia. Leganes tried to fight back, but this was not their day. For the last time Leganes won against Rayo Vallecano with 1-0 two weeks ago. Atletico Madrid are currently 4th in La Liga with 19 points won and a record of 5 wins, 4 draws and just 1 loss. In their last five games Los Rojiblancos are unbeaten, winning three times and doing two draws. In their last match Atletico enjoyed a 2-0 win over Real Sociedad at the Wanda Metropolitano. Both goals for the home team were scored by defenders – Diego Godin opened the score and Filipe Luis made it 2-0. Right now Atletico are just 2 points behind the leader and current champion Barcelona. Cholo Simeone’s team would like to at least keep this distance, so winning against Leganes is a must. For this game Leganes can’t use the injured Alexander Szymanowski, while Unai Bustinza could miss the match because of a sprained ankle. The good news are that Ezequiel Munoz and José Manuel Arnáiz are ready to return on the pitch. Atletico Madrid are having problems with the injuries of Diego Costa, Koke and Diego Godin, who are doubtful for the next game. That’s our look at the La Liga clash between Leganes and Atletico Madrid. Good luck!